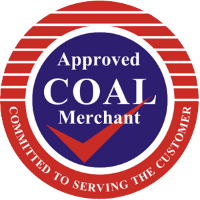 Supertherm is a premium quality smokeless coal that is great value for money. This fuel is long lasting, gives off a strong heat and is of consistent quality. This smokeless fuel is able to burn overnight, or all day when you are at work. This is a great, low maintenance fuel. Supertherm a manufactured briquette which is a high quality smokeless fuel. This product is ideal for open fires, multi fuel stoves and cookers. Supertherm is easy to light and burns with an attractive flame. The product leaves little ash residue, gives a strong heat output and is easily controllable. What's more, Supertherm produces 80% less smoke than traditional house coal. This is a high quality and long lasting fuel, making it an ideal fuel to leave in the fire over night. Supertherm is a cost effective way to heat your home. Supertherm is an authorised smokeless fuel, and HETAS approved. This fuel can be used in smoke control areas.